If you've ever heard the clarinet solo on the television program, "Cheers," then you've already been treated to the musical talents of saxophone soloist Gary Herbig. Born in Missoula, Montana, and raised on a 40-acre ranch at the foot of Patte Canyon, Herbig and his family lived in a one-room building with a wood stove and kerosene lamps. They got their water from from Patte Creek, which is full of rainbow trout. In the fifth grade his school music teacher Roy Lyman chose the clarinet for him. The Herbigs were a prominent musical family of professional musicians, so at 14 he joined the union and began working. 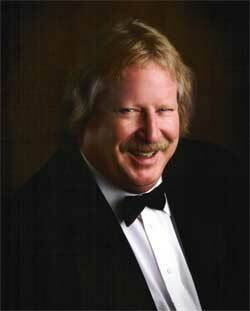 He attended the University of Montana on a clarinet scholarship and then moved to Hollywood in 1969. As a studio musician he has played on hundreds of movies and TV shows and more than 1,000 records. Aside from "Cheers" his TV work includes "Knots Landing," "The Young and the Restless," "Rosanne," "Home Improvement" and "Showtime at the Apollo." Currently he can be heard every Sunday night on the WB TV series "7th Heaven." His two solo albums, Gary Herbig and Friends to Lovers reached the top ten on the Billboard contemporary jazz charts. He's toured with Tower of Power, Lee Ritenour, Seawind, David Benoit, the Percy Faith Orchestra and Elvis Presley as well as the Big Bands of Buddy Rich, Toshiko Akioshi, Don Ellis, Bobby Rodriguez, Capp-Pierce Juggernaut and Gerald Wilson & Ed Shaunessy.